This book provides a framework for guiding leaders to shift from linear, cause-effect thinking to an ecology of moral, intentional leadership, paying attention to how their actions are connected to others. Readers are encouraged to act in a determined, deliberate way to lead their employees, teams, and organizations to success. The book is divided into three parts, opening with a narrative review of leadership literature, then discussing the activities of 11 leaders—including Pope Francis, Barack Obama, and Lee Kuan Yew—and developing a learning framework for real change. The author provides an enlightened, democratic model of leadership, helping readers to understand and utilize the core competencies of intentional leaders: interruption, presence, imagination, and action. A user-friendly structure, examples from diverse leaders, and end-of-chapter summaries encourage students to engage and experiment with traditional research and alternative theories. This will be a useful tool for students of leadership, and peace and conflict studies, as well as practitioners and emerging leaders in the public, private, and not-for-profit sectors. Stan Amaladas, Ph.D. is a Research Associate and Lecturer at the University of Manitoba, the University of Winnipeg, and Okanagan College—Kelowna, all in Canada. "I was inspired by this book! Amaladas uses the compelling narratives of 11 intentional leaders from different walks of life to show us how real, positive, meaningful change begins. At a time in our history when violence, in all its variations, permeates the every day, Intentional Leadership gives us hope." 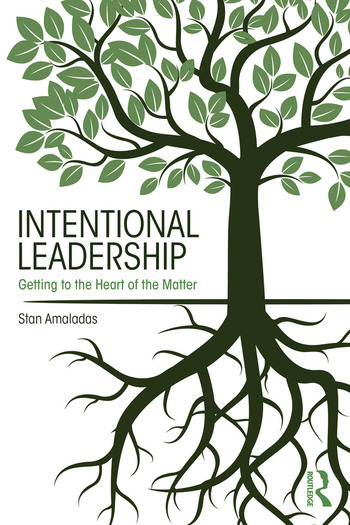 "In a day when shifting concepts of leadership abound in the global community, Amaladas’ accessible narrative uses a story, relatable models of world leaders, and a process to illustrate for us the what, why now, and how of ‘intentional leadership’. This is a must read and workshop study for all levels of leadership, from corporate and NGO boardrooms and offices to volunteer organizations, classroom studies, and government." "The recent great expansion of leadership studies raises many interesting and puzzling questions. Dr. Amaladas's book illuminates several of these issues. Intentional Leadership will inform government leaders, student leaders, and those in grassroots and organizational leadership positions in society. It will engage and encourage a transdisciplinary audience from across the social sciences." "This book, grounded in narrative research, is a well-written meditation on intentional leadership. The author uses the examples of famous leaders to explain intentional leadership, that is, leading with heart. The book is a practical leadership guide based on the priority of love for the other, a concept reminiscent of Aquinas and Levinas." "At last, a leadership book that is novel, innovative, timely, inclusive and takes a narrative approach! Intentional leadership is a concept that every business and lay person should be familiar with, lest we all react through our lives. Learning to lead intentionally is paramount for global development and stability!"